books and videos are available in more than fifty languages. 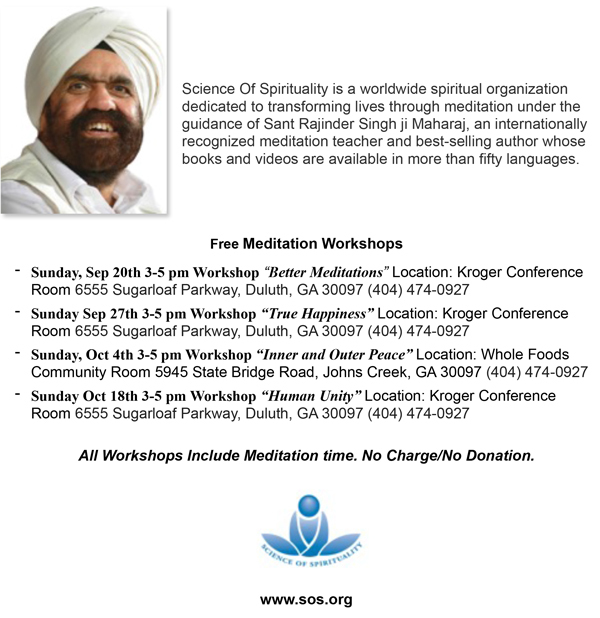 All Workshops Include Meditation time. No Charge/No Donation.